Time is limited, but Kentucky small businesses can still claim a tax credit of up to $25,000 on their 2018 tax returns. By submitting a complete application for the Kentucky Small Business Tax Credit program by Nov. 1, small businesses stand the best chance of receiving approval in time for their 2018 tax filings. Tax credits are available for companies that, in the past24 months, added at least one new employee and invested $5,000 or more in qualifying equipment or technology. 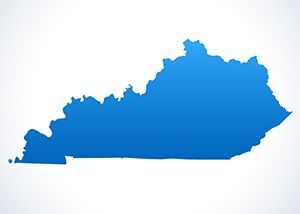 The program, offered by the Kentucky Cabinet for Economic Development, encourages growth among the state’s small businesses. Last year, the program incentivized the creation of 506 private-sector jobs and nearly $4.8 million in investments by 167 small businesses. On average, each participating company hired three people and received more than $10,000 in tax savings. Since inception, the program has assisted in creating over 1,800 jobs and $18.8 million in new investments. The program is among the many ways the Cabinet’s KY Innovation office encourages growth among Kentucky’s startups and small businesses. Other resources include programs that provide assistance for international trade and market development, access to credit, mentoring and advocacy. Entrepreneurs and startups also can connect with multiple resources at offices statewide. Learn more about KY Innovation here or by calling 800-626-2930.